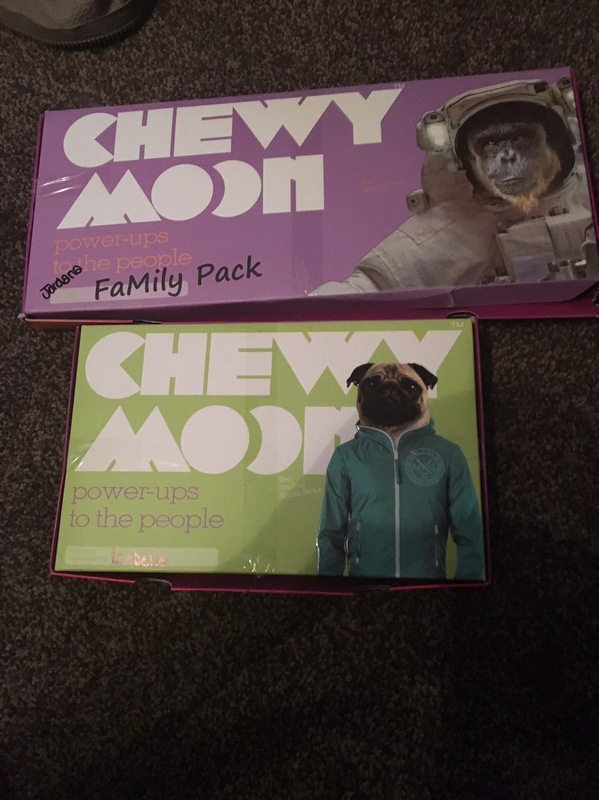 Chewy moon is a weekly subscription snack box for kids. The boxes are created based on the child’s age and come packed full of healthy natural snacks for children ages 3 and over. 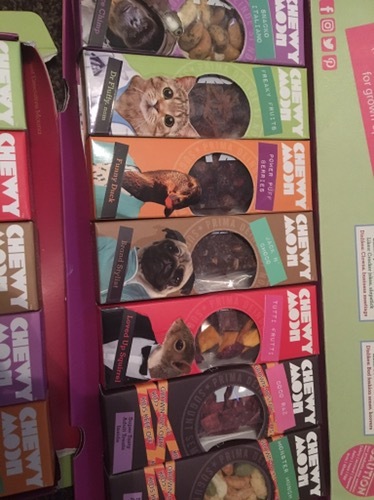 Each box contains many snacks, each of these snacks comes in its own colourful package which all have animal images on them. 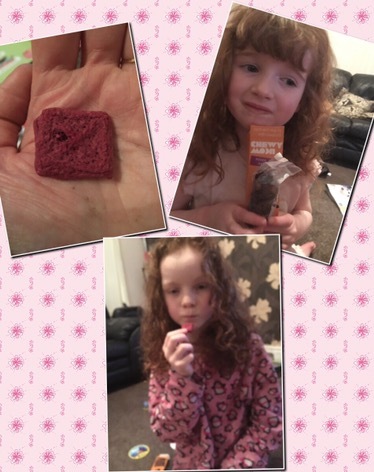 Now when I hear the words “healthy snacks” I immediately think – raisins, dates, prunes etc, all the things I dislike and my kids aren’t overly keen either, especially not prunes. As you can see there were many snack boxes to try and not one of them contained raisins or prunes. The majority of the snack boxes were actually really tasty with sweet berries or nuts and other fairly healthy items. A menu detailing what everything is and what the ingredients in each pack are, comes included as do a few kids activity sheets. 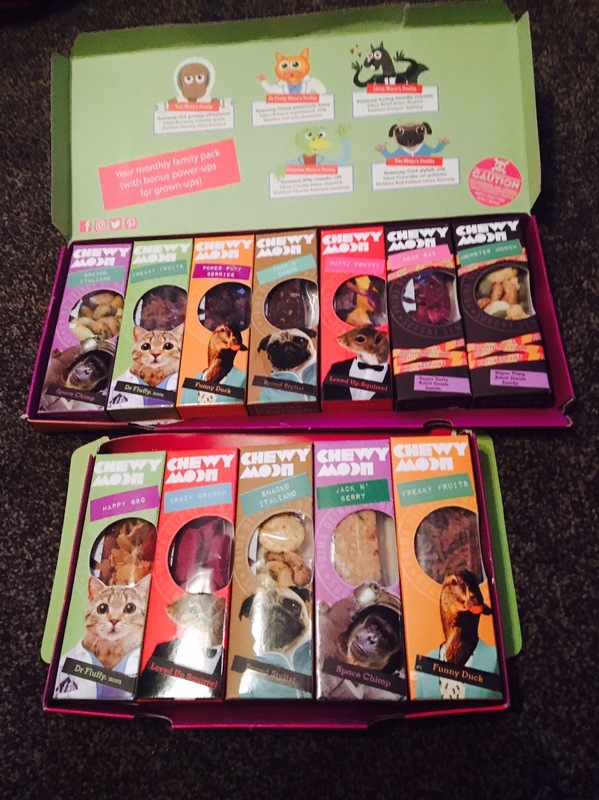 Chewymoon sends a box of snacks weekly for approximately £4.99. It’s a mixture of sweet and savoury snacks which we all enjoyed, none of us found any thaf we really disliked. Stories, fact cards and totems in every pack, making snacking and learning a brilliant experience.